Will Parisians be swimming in the river Seine soon? Is something missing in Paris? When Paris starts to heat up during the summer, most people have been tempted at least once to jump into the river Seine just to cool down for a few minutes. Paris might be one of the most popular cities in the world for tourists, but it’s very difficult to find air conditioning here and it would be pleasant to go for a swim! 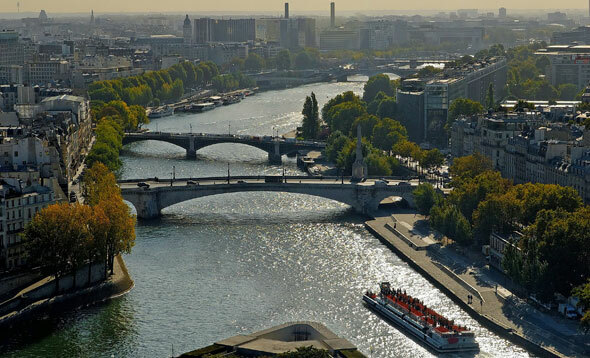 So will Parisians be swimming in the river Seine soon? There is only one thing missing in Paris, one of the most beautiful cities in the world: there is no beach! But, actually, that’s not a big deal, because there is a big and well-known river: the Seine. Just so you know, Lodgis offers a range of furnished rentals with a stunning view on the river Seine, don’t hesitate to come check it out so you can live somewhere with a magical view of Paris’ famous river! But… can you swim in the Seine? No, and don’t try it! Swimming in the river Seine has been outlawed since 1923 and can slap you with a 15 euro fine. Swimming in the river Seine: is that possible? Soon? Jacques Chirac, when he was the Paris mayor (back to 1988), promised that swimming in the Seine would be allowed from 1994. The result? Swimming in the Seine is still impossible, though some Parisians are doing it (when it’s too hot in Paris, as it was the case during the July 2015 heatwave). Is Anne Hidalgo following Jacques Chirac on this particular fact? As part of her “Swimming in Paris” project, the current mayor of Paris wants to offer Parisians the chance to swim in the Seine. According to her, “Parisians will be able to swim in the river Seine after 2024”. This all started when the city of Paris city decided to put itself forward as a candidate city to organize the 2024 Olympic Games. 9 sites are currently being examined as potential swimming spots: the Port de Javel, the Île aux Cygnes, the banks of Trocadéro-Champ de Mars, the Allée du Bord de l’Eau in the Bois de Boulogne, and the banks around Saints-Pères, Hôtel de Ville, Henri-IV, Austerlitz and Bercy. The authorities have take care to identify spots where people could swim in the river Seine while staying safe and away from the boats. Moreover, they have confirmed that the water quality has considerably improved over the past 15 years! The city of Paris has also officially announced that it would like to hold the triathlon in the Seine! The river should be cleaned up in order to make that possible! If you’d like to know more about some of Paris’ other green projects, check out our article on eco projects in Paris before 2015!